I’m so excited!!! My order of wood finally arrived. Every year, my husband orders a 1/4 of a cord so we can keep our fireplace roaring all winter long. It’s funny because I thought 1/4 was a lot… then I spoke to someone who lives in Rhode Island and he buys 2 cords!! That is CRAZY!! 2 cords would take us YEARS AND YEARS to get through. Anyway, when you order it from a supplier it is MUCH MUCH MUCH CHEAPER than the stores. In the supermarket, you get wood for about $8 (for 6 logs). When you order through a company, you pay around $150 for a 4×8 STACK of logs. So worth it. The only issue is storing it. We had a rack that we used last year, but this year the wood came in bags and supposedly you can store it in your garage. I”m a little nervous about termites… but we were told it wouldn’t be an issue. Last night was our first fire of the season. The kids loved it! So did I!! 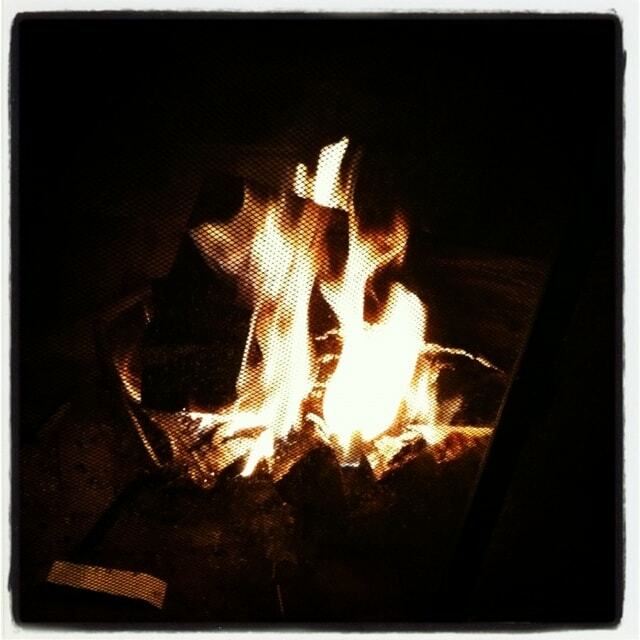 There is just something about a crackling fire.